When it comes to buying a mattress, if you share your bed with a husband, wife, or significant other, you want to make sure that you take certain factors into consideration that will help you make the right choice. In addition, if you are heavier than normal or significantly heavier than your sleeping partner, you also want to make sure that you make the right decision when you go shopping. Most of the time, the best mattresses for couples are the same for single sleepers, except as it may relate to support, motion transfer, pressure relief, sleeping hot, and other factors. In our case, I am roughly twice the weight of my girlfriend Kaye, as I am 6’1” and around 230 pounds. For some mattresses, this causes me to sink down lower than her and for her to “roll” over into me due to the different weight being placed onto the mattress. We had this problem with cheaper memory foam mattresses during our search for the right bed for us, so we know firsthand how important it is to get a well-built and well-designed product, especially a memory foam one which we like personally. Lately, however, many good options are on the market to chose from including latex options, latex hybrids, innersrpring / foam hybrids, and all other combinations. 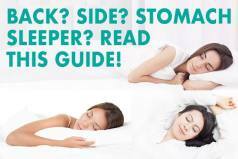 These factors we discuss below are very important when purchasing a mattress that has the correct characteristics for couples with a higher combined weight will ensure you the best night’s sleep. While firmness is usually a subjective choice based on sleeping styles, in some cases couples tend to require and prefer a model on the medium to medium firm side (around a 6-7 on the firmness scale, with 10 being firmest). These firmer options will hold their shape better and provide lasting support for years to come for the combined weight of a couple. In addition, as it relates to memory foam mattresses, they tend to soften up over time so choosing a firmer one will enable it to break in and become softer over time. Medium to firm memory foam mattresses tend to offer more consistent support and feel, as the increased densities of the foams or other materials help provide necessary push back to counteract the weight being placed on them. These are usually the best choices to select if you are a couple. Thickness is something that is often very important when selecting a memory foam mattress if your combined weight as a couple is heavier than normal, or if one person is significantly heavier than the other. For sleepers under 200 pounds, a 10” model is usually sufficient. If you are heavier than this, we suggest you look for something that is at least 12” thick or thicker and combined of a variety of different foam densities. The combined weight of couples create a larger amount of pressure so more compression support is needed, which many thinner mattresses do not provide. There are some 10″ models that utilize advanced foams and other design features that improve deep compression support and can allow them to function well for heavier sleepers as well. However, for the most part it’s best to find a model with a thicker profile as it will more likely be able to offer consistent support and deep compression support. The heavier you are, or the heavier that your combined weight of a couple is, the more important a thicker profile and deep compression support are. Sinkage is quite important for heavier people, as the heavier you are, the more you will compress the foam. As it relates to being part of a couple sharing a mattress with a partner and weigh significantly more than they do, in some cases you may cause them to roll into you due to this pressure difference. Choosing a well designed memory foam product with varying level of foam densities or made of different materials such as latex or hybrid coil designs will help with this, as will selecting a firmer model. Motion transfer is also something to take into consideration as a heavier person sharing a mattress with your partner. Tossing and turning and adjusting your sleep position during the night can often cause significant motion transfer if your mattress does not have motion dampening features or is “bouncier” as many latex mattresses are. Choosing a pure memory foam option will often alleviate these effects, as they are less springy than latex or hybrid ones. A common complaint from couples that purchase a memory foam model is “sleeping hot”. This term is used for memory foam mattresses that do not ventilate or breathe well throughout the night. When you are sleeping together with a partner it can get uncomfortable quickly if you don’t have a well designed memory foam mattress that addresses heat buildup. Two 98 degree bodies under the covers sharing a bed can generate a lot of heat, needless to say! The more mass, the more heat that is generated. Without a model that breathes, you may find yourself waking up in the middle of the night sweating and shedding covers or feeling like you are sticking to the mattress. Many advanced memory foam and latex models have largely solved the problems with heat retention using more advanced cooling materials, open cell foam, gels, breathable covers, etc.. 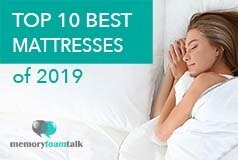 These are generally a feature of better memory foam mattresses, and often not a feature of inexpensive or basic models. Cheaper ones are more likely to be the type of basic memory foam that absorbs and retains heat. Latex mattresses by definition don’t trap heat so they are a good choice, as well are hybrid coil designs that provide ventilation through the coils in the bed. These are designs we feel are the best for couples in our opinion. Strong and stable edges will help prevent any significant sagging or collapsing near the edge when sleeping towards the sides of the mattress as is often the case with couples who each sleep on one side of the bed. 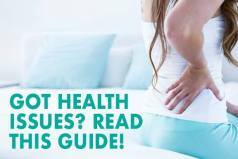 In some cases, memory foam mattresses struggle with this, especially the softer models which will compress and sag when sitting on the edge or sleeping near the edge. This is usually the case with cheaper memory foam models which don’t have the more advanced foam densities or layers within them. As mattresses are often used for more than just sleeping at night, such as sitting on the edge or more intimate acts, making sure to have proper edge support if you are a couple can be important. Choosing a firmer or latex model with good edge support will often alleviate these issues. Memory foam models are great options for couples, as they are supportive and are known to relieve pressure points by providing even, consistent support that contours to your body, no matter what position you sleep in. Make sure to take into consideration the material construction, breathability, and cooling materials used in them to ensure you don’t sleep hot. Features such as a gel cooling layer, open cell structure, and breathable cover are important things to take into consideration, as is the ability to adjust individual comfort levels. These are all important criteria for couples. In addition, make sure that the firmness and support of the memory foam model enable both sleepers to be comfortable sharing a bed during the night, especially if one of you is heavier than the other. If you want to personalize or customize your sleeping environment and have different preferences than your partner, then the latex hybrid from Helix Sleep is perfect for you. When you order a Helix Sleep, they provide you with a questionnaire that will allow them to personalize your mattress with the options you chose. They take these preferences in terms of firmness or if you want to sleep hot or cool; among others, and then create your ideal bed. What’s really unique about it is that you get to personalize each side of the bed. This means you can customize it depending on which side of the bed you are on such as in the case if you share beds with a partner. The addition of the “Luxe” options adds 2″ of thickness to the beds, so they come in at 14″, compared to the normal 10″ thickness. . The Helix is also not as expensive as compared to other luxury customizable beds around which offer fewer competitive features as this one. They offer superb value for money and allows you to build a mattress that is best for each partner that shares a bed. Get the full Helix review of the Helix Midnight Luxe mattress, which has links to other Helix mattresses we have reviewed as well. The Luxi is a high-end multi-foam model which you can buy at an affordable range. What is so great about the Luxi is that it can be customized on each side depending on sleeper preferences which makes it our top pick for couples. It is gaining popularity because it has a 3-in-1 adjustability feature which allows you to customize or adjust according to your comfort range or sleeping position. Each side of the Luxi can be customized according to sleeper preference, which makes getting your individual sleeping environment right if it may be different than your partner. It provides the right contour, comfort, and support plus has great motion isolation feature that is a huge help if you share a bed as a couple. The Luxi is hands down a relationship saver and to us, the best mattress in this category. The Loom and Leaf is another great option for couples. It has remarkable motion isolation that is recommended to be used by couples, side-sleepers, and restless sleepers. The Loom & Leaf comes in two different firmness options to cater to sleeper needs and preferences better. The firmer model (an 8 out of 10 in terms of firmness, 10 being the highest) has much better motion isolation as compared to the softer one (a 5 out of 10). If you’re sleeping alone, the softer Relaxed Firm is adequate, but if you’re sleeping as a couple, especially those with huge weight difference, we highly recommend the Firm. The Loom and Leaf sleeps cool and has minimal motion transfer, which are important criteria for couples. Its high quality design and materials put it on par with more expensive store brands costing much more at a fraction of the price, and is one of our top picks for couples.